Key West is one of the most beautiful islands in the United States, if not the world. When scuba diving in Key West, visitors have the luxury of many equally compelling and lovely locations. There are coral reefs, exotic deep sea locations, sunken ships to explore and more. Not everyone will have the time or inclination to explore all the possible locations, so visitors should think carefully before deciding which dive location is perfect for them. Not only is personal preference something to be considered, but skill level is important when choosing a dive site as well. There is something hauntingly sad and yet somehow romantic about exploring a sunken ship. 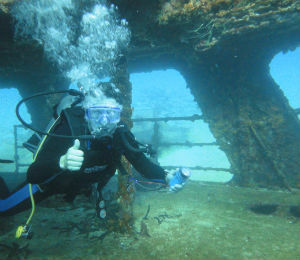 Divers near Key West are fortunate enough to have more than one shipwreck to choose from. There are small wrecks, such as Joe's Tug, a little tugboat that went down a few decades ago and is now overrun with tropical fish and other exotic sea life. Then there is the USS Wilkes-Barre, a much larger military ship that was intentionally sent down in 1972 after being blown up by the Navy. Due to its size, it is actually split into two dives, and only experienced divers have the ability to go deep enough to explore it. Then there is San Pedro, a far older ship that sank in 1733 and now rests just north of Key West in the San Pedro Underwater Archaeological Preserve State Park near Indian Key. The only living coral barrier reef in the United States and third largest in the world is in the Keys, so there is obviously a wide variety of reef locations for divers to choose from. There are also artificial reefs created by sunken ships and other detritus. The Marquesas Reef Line is one spot divers may enjoy. 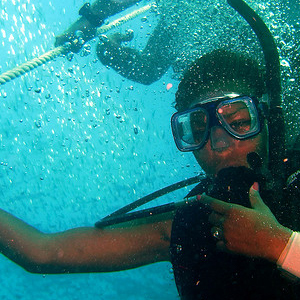 It even contains caves, though due to rip currents it is recommended more for experienced divers rather than novices. Rock Key, a former shipwreck that is now a coral reef, is another great spot for divers and is close to Sand Key, an area that has plenty of good diving and coral reefs itself. Toppino's Reef is yet another area for reef enthusiasts to check out, and is shallow enough that even novice divers can enjoy it. 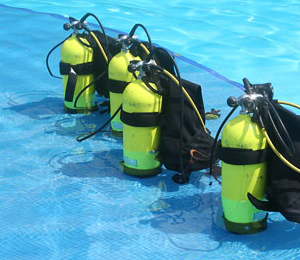 These are just a few of the options, showcasing what a treasure Key West is for diving enthusiasts. 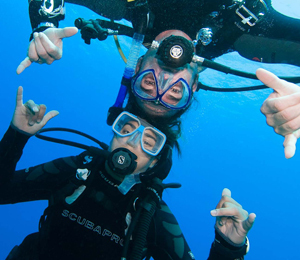 While reefs and shipwrecks are the stars of the Key West diving world, it is also possible for divers to request a deep sea diving expedition. Key West is home to a variety of larger marine mammals, including various types of sharks and dolphins, and even whales if divers are lucky. Depending on the species, they generally prefer to live in deeper waters. For divers who are more interested in this type of marine life rather than smaller animals or a colorful underwater landscapes, Key West does offer trips to deeper water to visit these animals. Night dives are even an option for the truly enthusiastic diver looking for something different, and ledges and caves can also be found in these deep offshore dive locations.